A particularly wet morning earlier this summer saw The Boys and I sheltering from the rain in the information train hidden in the siding of the former Wirksworth railway station, now base for the Ecclesbourne Valley Railway Society. It’s a friendly and trustworthy kind of place and the information train was simply left open for us to explore. Whilst the boys clambered about, sat on the drivers seat and rang bells – loudly – I was thrilled to find the two faded images reproduced below. 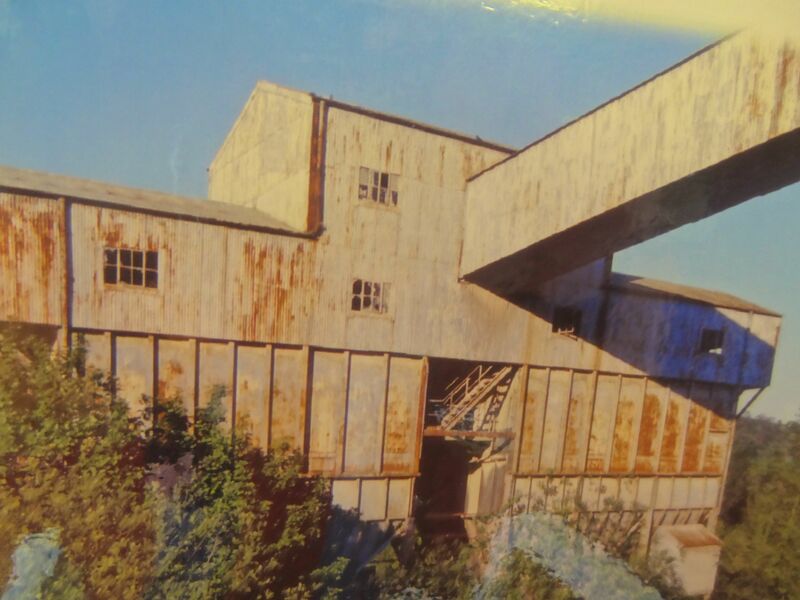 They record structures in a derelict state, close to demolition in 2005, however the images were enough to set in train all kinds of childhood associations for me. 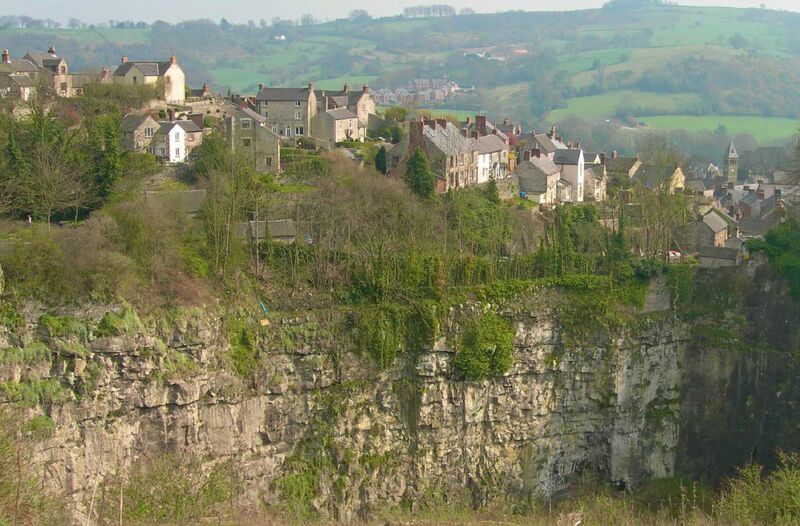 My dad worked for one of the many haulage companies which carried limestone from, what were then, huge quarries; so large they came close to engulfing the small town of Wirksworth in Derbyshire. I hope the following notes will bring to life some of the memories I remember so powerfully from childhood. 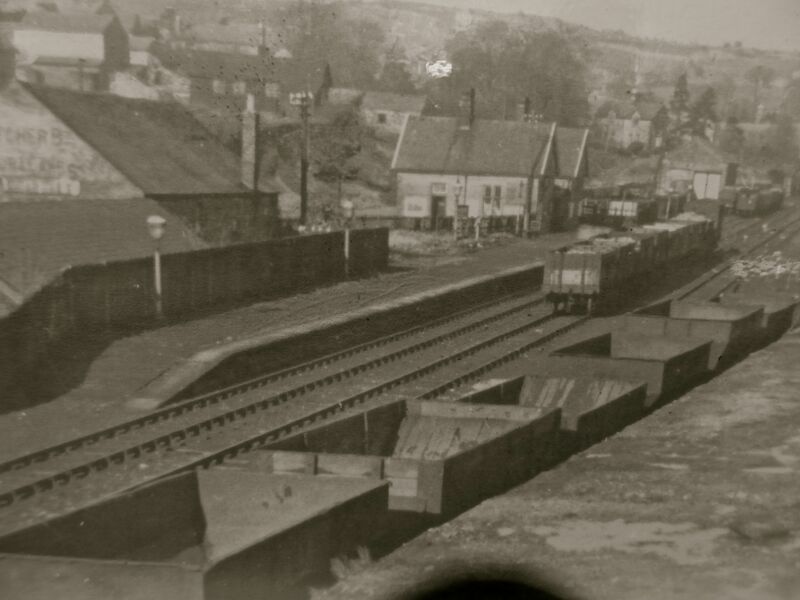 In the 1970’s the conveyor belt (below) dominated the entry to Wirksworth from Cromford Hill, a huge and rather brutal piece of industrial engineering it carried limestone aggregate from Middle Peak quarries to exchange sidings where the stone was fed from hoppers into long trains of standard gauge wagons. 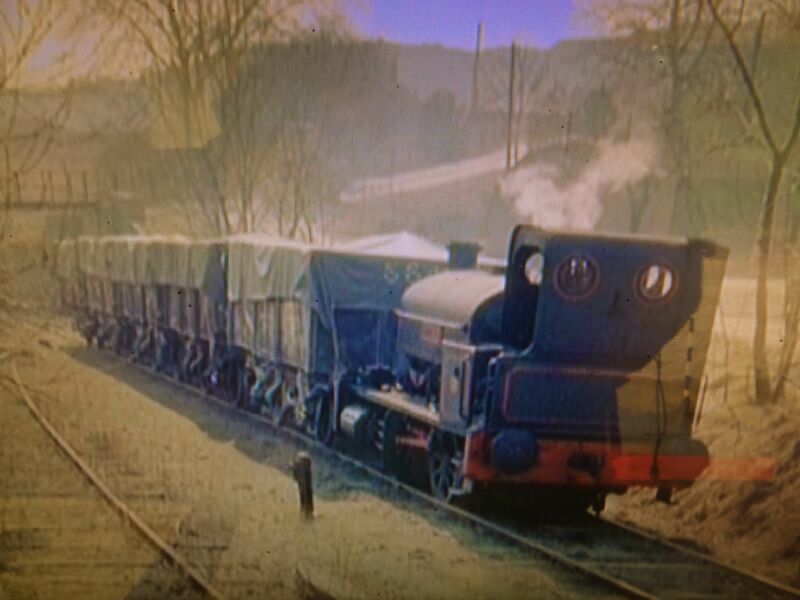 These were hauled to Wirksworth station by ancient company steam locos (later diesel replacements). 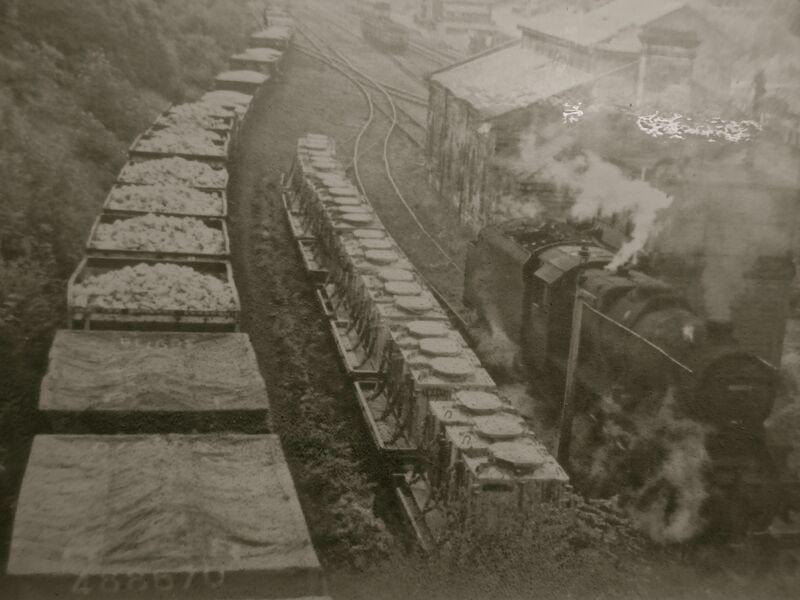 At the station, which had long since lost it’s passenger service, the company locos would marshall the wagons into long trains heading down the Duffield branch to Derby and beyond. Middle Peak had been created in a rationalisation and modernisation of the miriad quarries on the hillside above Wirksworth (including Stoneycroft, Ash Hill, Monkey Hole, Bolton Hole, Corton and Dale Quarry) into the single huge Middle Peak enterprise extracting up to 1.5 million tonnes of limestone aggregate per year. 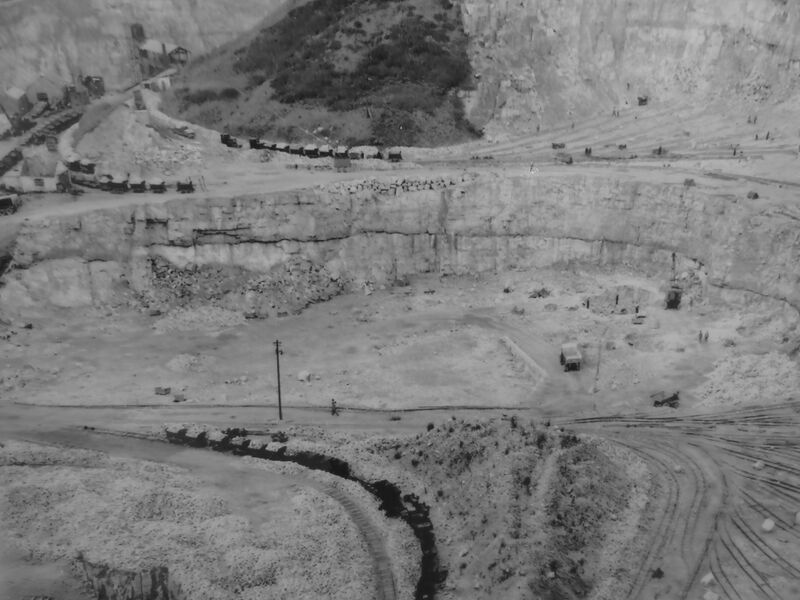 The mechanisation of the quarries in the 1950’s had caused the local economy, almost solely based on quarrying, to collapse, as the mechanised extraction methods required only 85 quarrymen to extract the same amount of limestone as had previously been extracted by many hundreds of quarrymen. 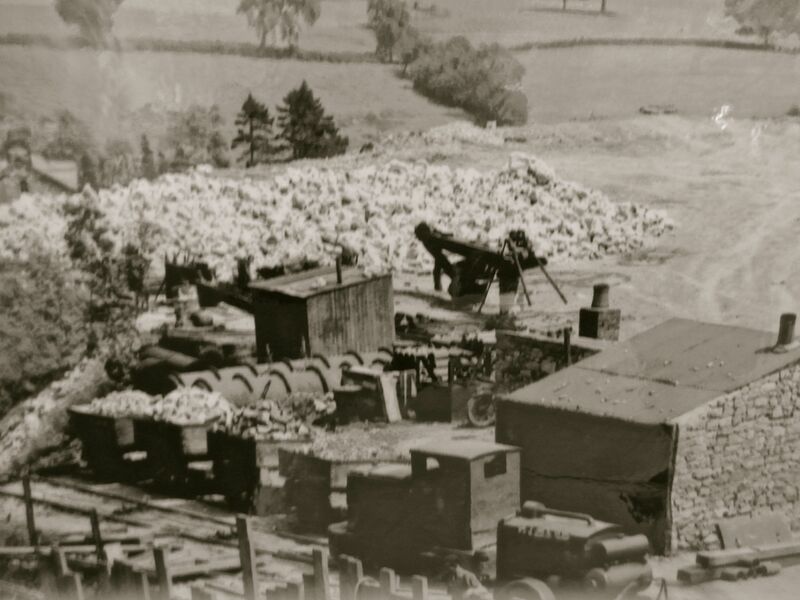 The change came suddenly and had a devastating effect on the town, people and businesses moved out, leaving a dusty ‘ghost town’ shaken 24 hours a day by heavy lorries and steam trains hauling away the stone. 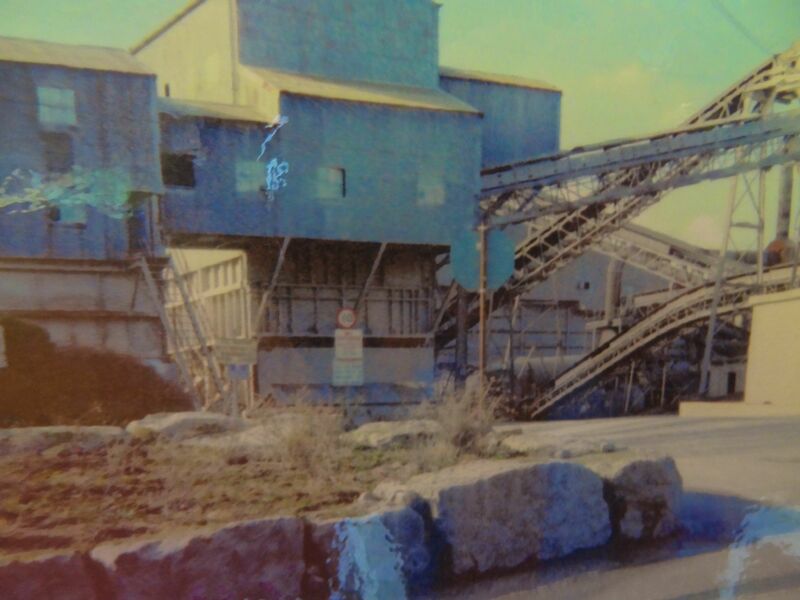 It’d not fully lost this beleaguered image when I knew the town, and the quarries, in the late 1970’s. 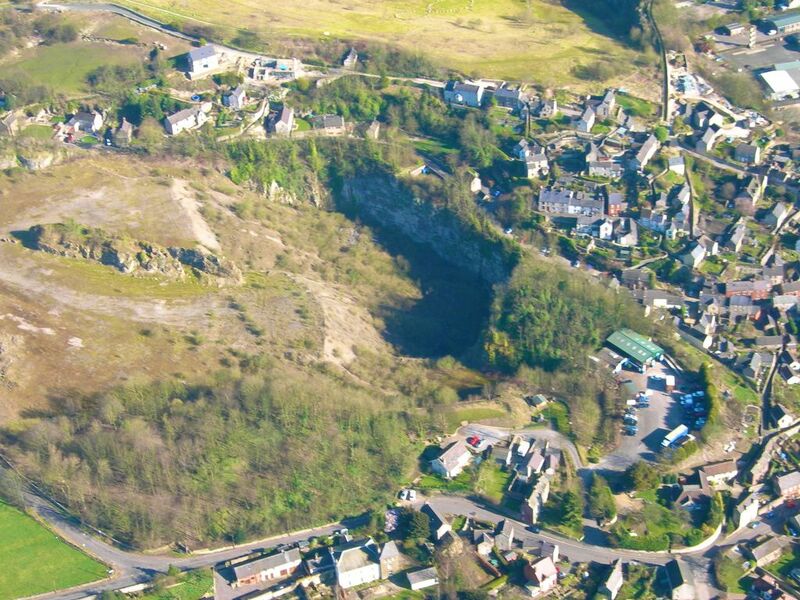 Today it’s hard to imagine the scale of quarrying around Wirksworth, it rivalled many of the slate quarries of North Wales in terms of the enormous size of the excavations, here too the quarrymen laid down many miles of 2ft. gauge track to ferry newly extracted stone to the hoppers. Narrow gauge locos and hundreds of ‘Jubilee’ tipper trucks littered the quarry floor. 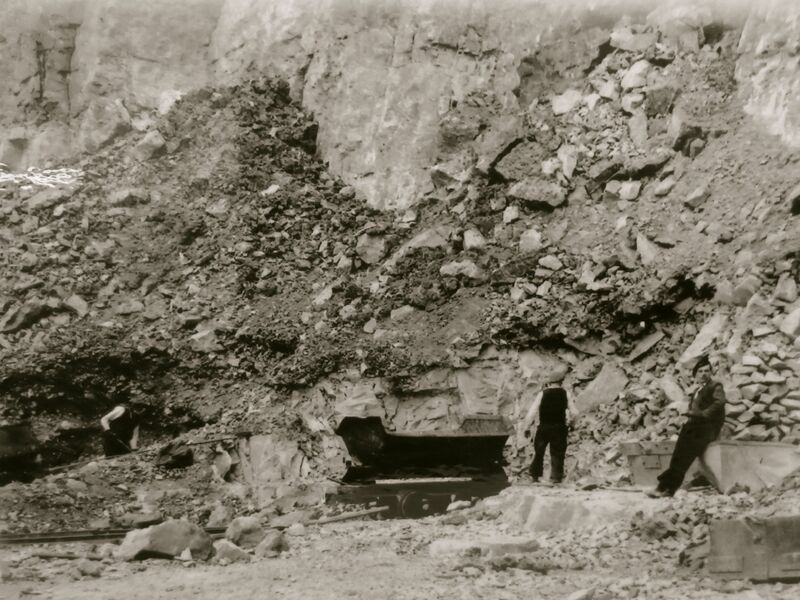 The scale of works was staggering… ‘The Big ‘Ole’ or Dale Quarry (1874-1966) seen here (above) at it’s peak, was producing up to 1/2 million tonnes of limestone products per year alone. 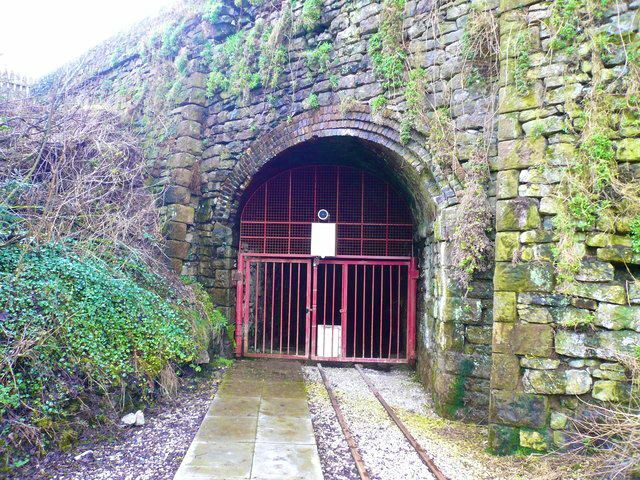 By 1877, just three years after Arthur Horwood had begun ‘The Big ‘Ole’, there was so much concern in the town about a proposed tramway to transport tens of thousands of tonnes of limestone through the main streets it was agreed that the quarry owner would fund a 1.2km tunnel to be dug from the floor of ‘The Big ‘Ole’ directly into the station yard, it still exists today (below). A standard gauge line was laid down the tunnel into the yard… I remember dad saying he’d often cadged a lift on the loaded trucks through the tunnel – something obviously prohibited by the company! Despite being closed over 10 years earlier I can clearly remember The Big ‘Ole. Over 300ft. deep and covering a vast area, it dominated Wirksworth, and despite significant in-filling, is still pretty impressive today (below). 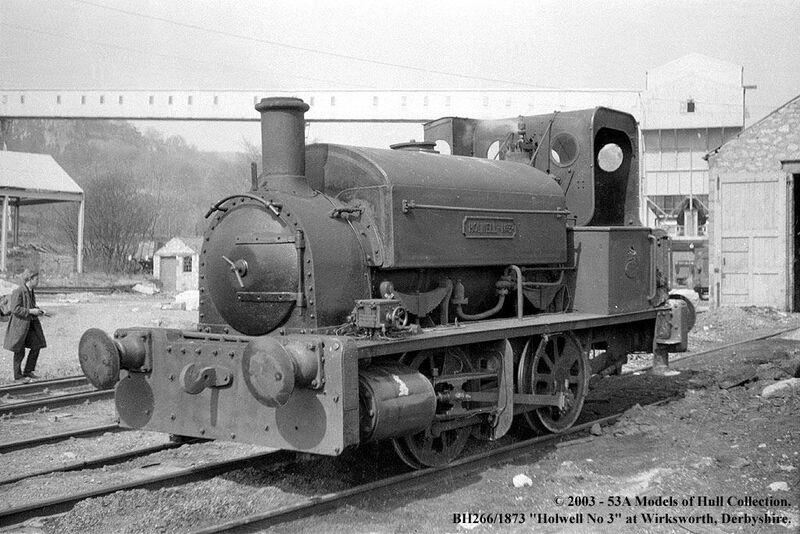 Wellington is an 0-4-0ST with 12 x 19″ outside cylinders and 3ft 2″ diameter wheels. She was works number 266 and was ex-works on 27/7/1873, named Wellington, to Walter Scott, contractor, Newcastle upon Tyne, who was a specialist railway and public works contractor. By 1894 she had been sold to Holwell Ironworks Ltd, Melton Mowbray, Leicestershire, where she was renamed Holwell No.3 and rebuilt in 11/1894. In 1895 she moved to Holwell Iron Co Ltd, South Witham Limeworks, Lincolnshire, where she was rebuilt at Holwell in 11/1891 and 1/1912. In about 1912 she moved to Stanton Ironworks Co Ltd, Buckminster Ironstone Quarries, Lincolnshire, where she was loaned to Frodingham Iron & Steel Co Ltd, Colsterworth East Mines, Lincolnshire on several occasions between 1921 and 1926. 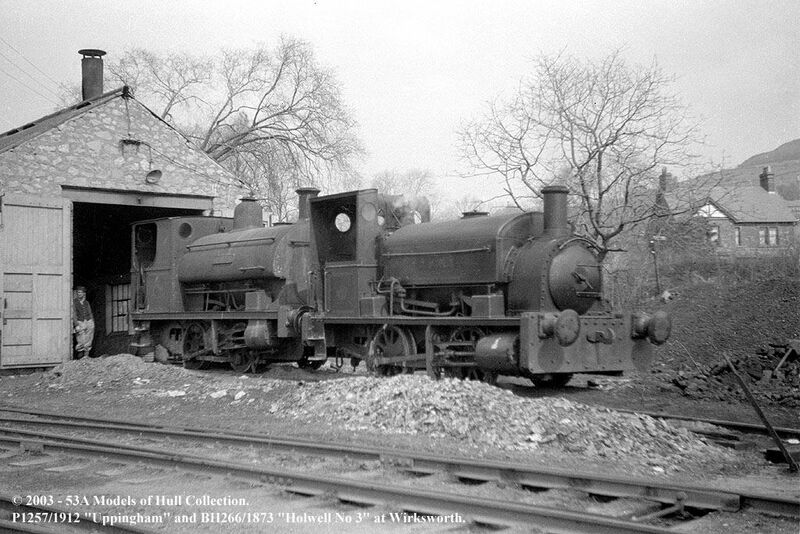 She was rebuilt for the fourth time at Holwell in 2/1935. Stanton moved her to Eaton Ironstone Quarries in Leicestershire in 3/1939 and to Harlaxton Ironstone Quarries, Lincolnshire, in 9/1940. In 8/1946 she was sold to Bowne & Shaw Ltd, Wirksworth Limestone Quarries, Derbyshire. 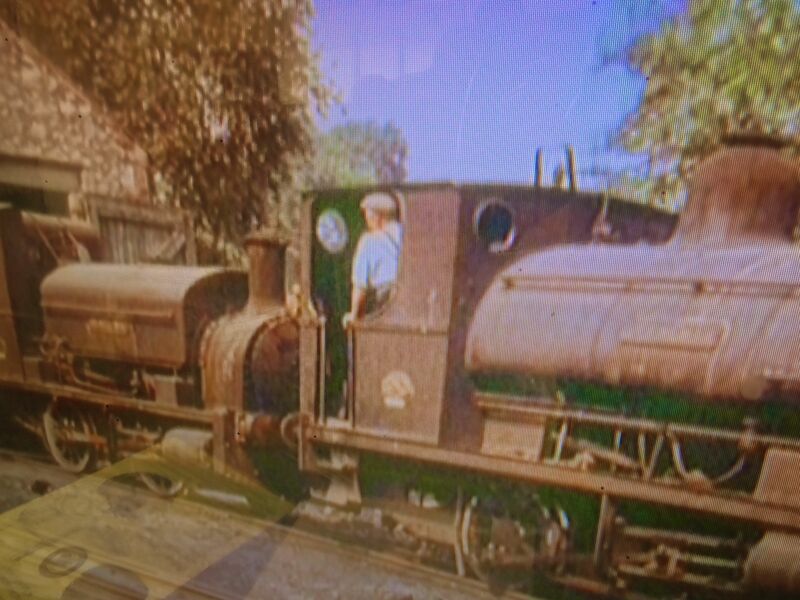 Her later owners here were Tarmac Roadstone Holdings Ltd and she shared duties here with a more modern Peckett 0-4-0ST. 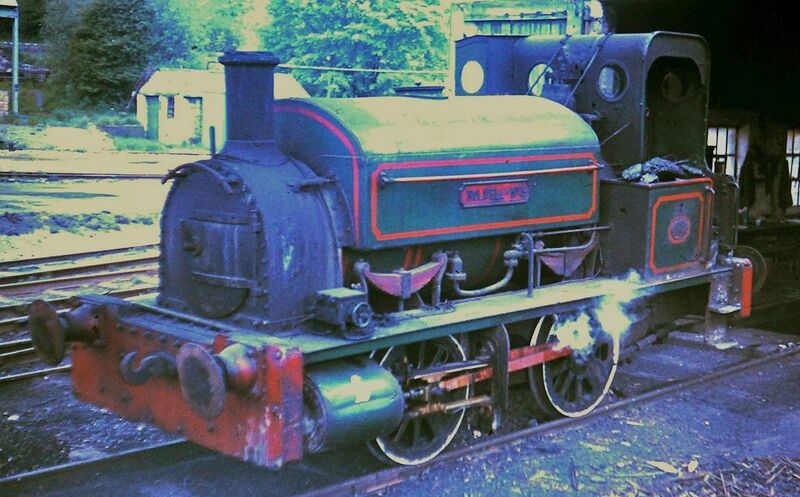 She was in regular use here until the 1970s and was the oldest working steam locomotive in the country. Many enthusiasts came here to photograph her with her strange looking cab and much polished works plates, complete with her rebuilding dates. 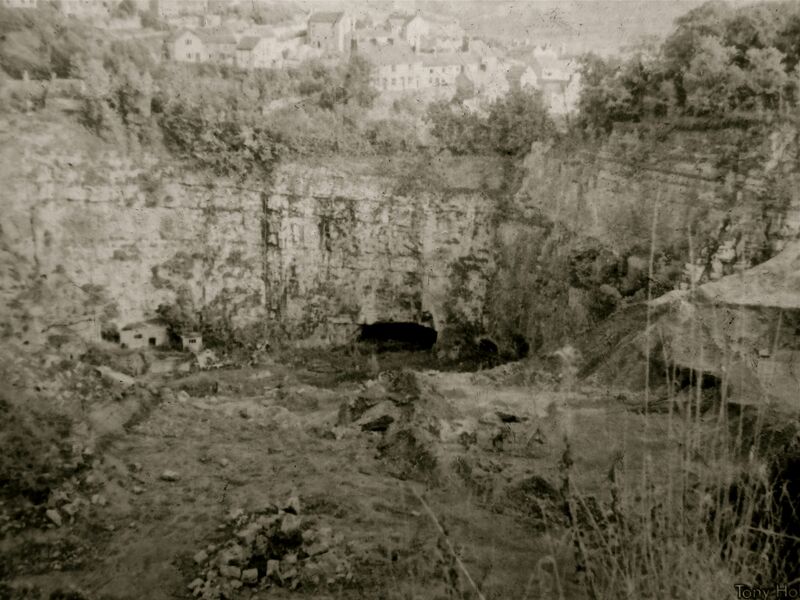 The fifth photograph down is of Middle Peak Quarry not Big Hole. 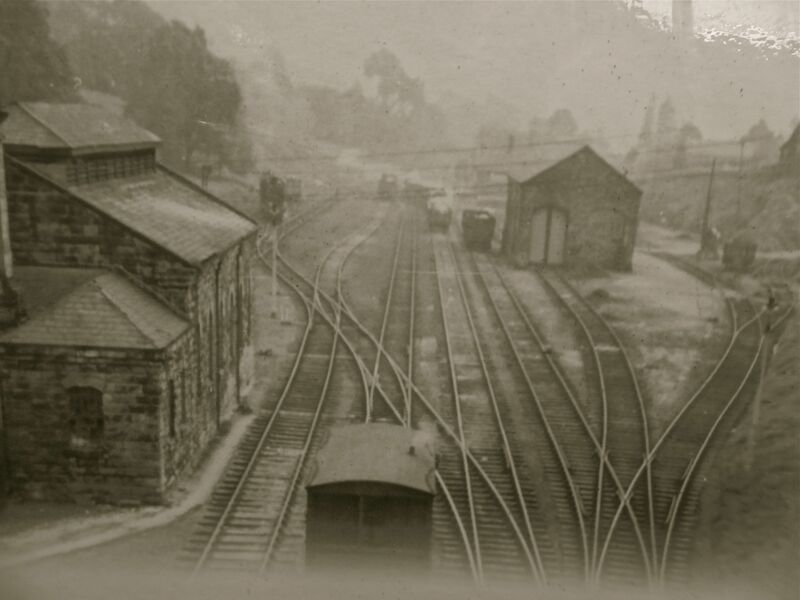 It is looking towards the Lime Plant and where the quarry stores and offices later stood. The Grammar School was no longer there in 1977. The tunnel under the town was still passable on foot or cycle as late as the very early eighties. Great photos! I got hold of an Auction listing, which gave details of the huge estate once owned by Arthur Harward. The whole thing was auctioned in May 1880, and Arthur died in November 1880 leaving less than £200. What happened?? The obituary in the Derby Times for November 1880 explains the whole thing. Thanks for this fascinating snippet of information that enriches my understanding of the ‘Big ‘Ole’ and thanks too for the marvellous wirksworth.org.uk website, it’s a fabulous resource. Next Next post: Silent Sunday 9.